Ahhh, how good does it feel to get your hands back on a good old run and gun game? Cuphead could be crowned as a masterpiece of the genre, first for its amazing retro designs, heavily inspired by 1930s cartoons and its no-articulation characters, and also its incredible gameplay, where even the most experienced gamer will meet difficulties. It’s so remarkable we could not start without mentioning it. The designs of the game are an amazing work: 1930s-ish, full of details and bosses that could directly come from a 1936 Walt Disney movie. The hand-drawn characters and surreal sets are all direct references to the work of legendary animator Max Fleischer. It definitely was puzzling to bring back to fashion this universe in a world where videogame designs only get better and better; and we must point out the amazing work of the game development studio, MDHR. Every level, every boss, every detail have been meticulously crafted. Not only the designs are good but also the soundtrack. The jazzy and swingy melodies of the game, composed by the talented Kristofer Maddigan, make you travel through time and let your character dance to a joyful rythm. Indeed, you will need to move fast to avoid all your enemies’ attacks and that soundtrack will clearly lead you that way. Despite its childish design, Cuphead is far from an easy game. 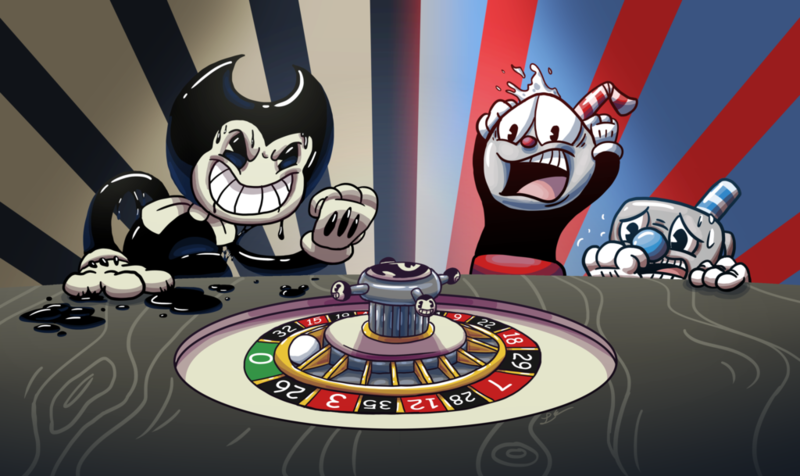 The plot is simple: cuphead and his brother, Mugman, played a little bit too much at the devil’s casino, ending up betting their own souls against the devil himself! Of course, they lost, and now have to help the devil collect souls from a wild range of strange creatures from all the land, or they will lose their owns. And this is how your quest begins. You soon get to fight a giant carrot, two boxing frogs or… whatever kind of weird monster. All the enemies have very specific skills, battling techniques, and are very unpredictable, making it even tougher to hit them. You will need a lot of patience (or a lot of deaths) to finally be able to anticipate the moves of your opponent. Some will give up, some will keep on trying; which side will you choose? Available on PC and Xbox One, the game has so far met important succes. In terms of controls, the game is pretty simple, with four main keys: Jump, Dash, Shoot, and Special Attack. Even though the game is playable as it is, we recommend to modify your settings if you are playing on pc, and adapt the keys to what suits you the most. Even though Cuphead is the main character of the game, let’s not forget his brother Mugman. He could be compared to Mario’s Luigi or Wario’s Waluigi: not under the light, but a major character of the story and always fun to play with. The game includes a local multiplayer mode dedicated to you and your friend wanting to defeat the devil’s targets. It might be the most noticeable weakness of the game: the lack of online competition. Considering the success of the game, the potential of an online mod is huge; for instance a worldwide level ranking taking into account the time completion and/or number of deaths could result in even more hype. 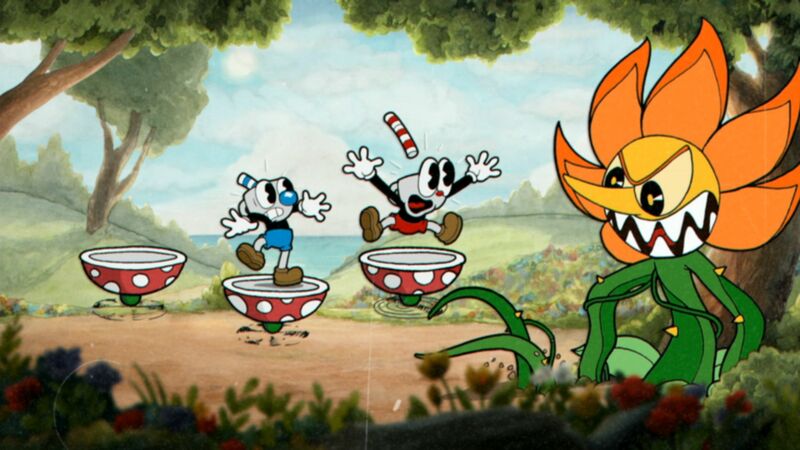 However, Cuphead producer Maja Moldenhauer has confirmed the studio is considering the implementation of an online co-op mod on a future version of the game. To our greatest pleasure.